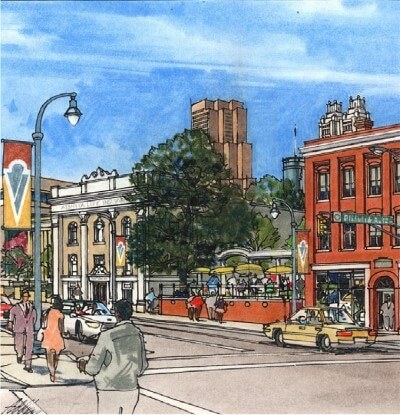 TSW, in collaboration with illustrator Addison Young, offered assistance to the Historic District Development Corporation (HDDC) in promoting ongoing economic redevelopment and renovation efforts along Atlanta’s historic Auburn Avenue. Our proposed streetscape improvement program includes the creation of a simple and dignified gateway entry to Auburn Avenue from Courtland Avenue. This entry would be visible from Woopdruff Park and draw the casual visitor down Auburn Avenue on a walking tour. 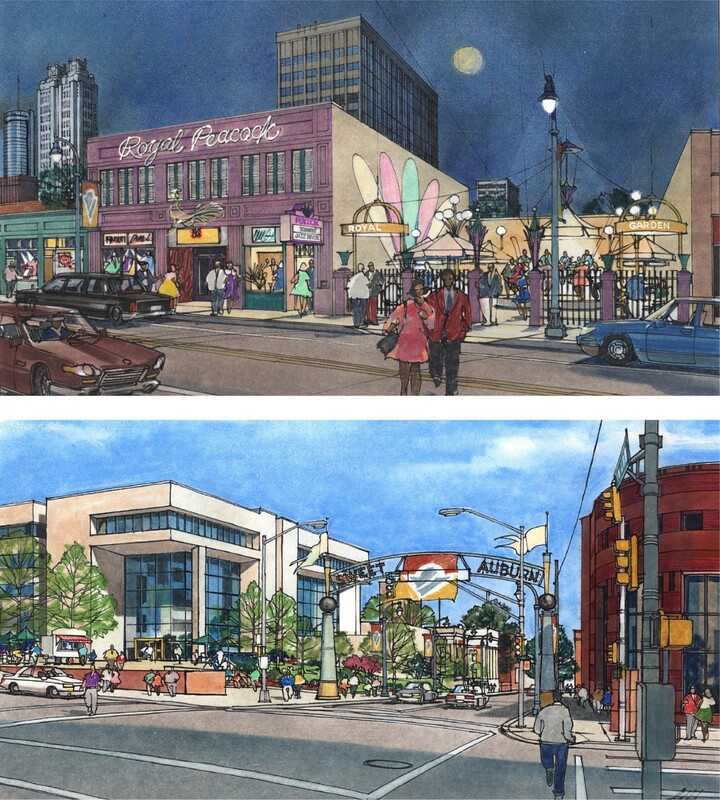 Small pocket parks and outdoor dining areas are provided at key locations.Adaptive re-use of historic buildings is proposed to add vibrancy to the district and reflect Auburn Avenue’s historic role as Atlanta’s African-American business and entertainment center. As a result of this design assistance, funding has been secured by HDDC, and streetscape improvements are currently underway.